For many years I have been speaking and writing about the difficulties boys have had in schools. I devoted a chapter on the subject in my book, Doing The Right Thing: A Teacher Speaks. Much of this comes from what I wrote there. In addition, A NYT article dated October 22, 2015 adds a new factor, disadvantage. The boy’s mother took him to a psychologist…. And there is the problem. Can we really see boys and their issues? My son was born in 1990. By the time he was approaching kindergarten, we had to decide if he was to be one of those male kindergarten redshirts, held back a year to “mature.” We decided against it. We felt holding him back would, indeed, hold him back. What happened was eye opening. In preschool and kindergarten, teachers thought he was “hyperactive.” My wife is a clinical psychologist. She and I knew better. He was a boy. He acted differently than our daughter from his earliest moments. Eventually, we were proven right. He did fine in school. He was constantly described as very mature. A top student and athlete, he is a third year medical student at Tulane Medical School as I write this. During the 1990s, a great deal of emphasis was placed on improving the education of girls. We worked hard on that reform and changed classroom behaviors to allow girls to be more assertive and improve their work. It was all good. As part of that movement I was one of three Scarsdale Schools staff members to go to a conference on boys held at Wellesley College. Of the three, I was the only teacher. While in one workshop I heard volumes about the problems of female students being harassed and bullied and intimidated by aggressive boys who needed to be “fixed.” A bit nervous about presenting a different view, I stood up and recited a summary of what I had learned over the previous years of investigation in my school and from additional research. After much criticism and claims I must be fabricating evidence, I was summarily dismissed. What had I found? In my classes, the boys’ final grades were anywhere from three to five points lower than the girls’. Overall, that meant the difference between a B- and B or B+. I followed the class of 2002 and found that from grades 9-12 approximately two-thirds of the bottom third of the class were boys and two-thirds of the top third were girls. This corresponded to the almost 3:1 ratio of girls to boys as valedictorians and salutatorians in the county of Westchester, NY. Boys are greatly outnumbered in every extracurricular activity outside of sports. By twelve years of age, boys are almost twice as likely to have repeated at least one grade. Boys comprise the majority of permanent high school drop- outs. Boys are approximately three times as likely to be diagnosed with ADHD or ADD and are ten times as likely to be referred for possible ADHD/ ADD as girls. Boys are more than twice as likely to be suspended from school. 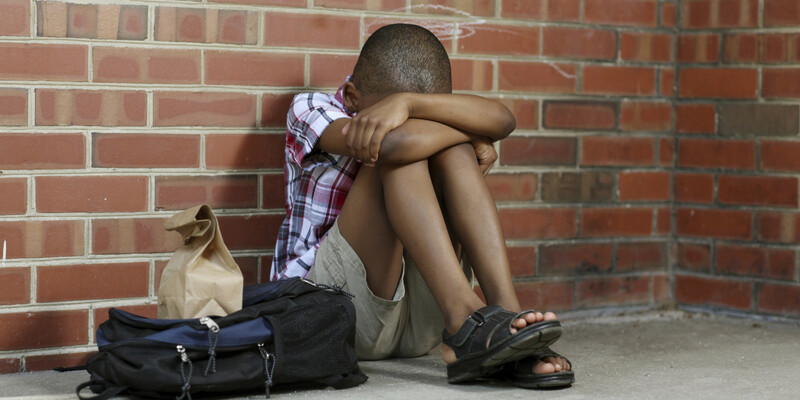 Boys are more than three times as likely to be expelled from school. Researchers concluded that because of changes in the educational system, the average boy of fifty to seventy-five years ago would have been very likely diagnosed with ADHD today, especially if they were bored and gifted boys. Overall changes in educational format and curricula as a result of NCLB and RTTT have been especially detrimental to boys’ learning. Among these are: more reading and writing at earlier ages, less physical and nonlinear learning, and the disappearance of gym and recess. The evidence shows that more schools have become less and less oriented to these boy strengths. Verbally structured classrooms tend to decrease motivation and performance of boys. These results were especially found in middle and high schools with boys who had higher IQ scores and had earlier successes in elementary school. (Hey…that was I, grades nine to eleven!) Often too, the boredom of bright boys is misdiagnosed as ADHD. Other researchers point more directly at early academics in K-2. Boys are not as reading/writing ready as girls. This has led to higher stress and failures, therefore diminishing boys’ motivation. All the research points to the fact that boys simply learn better through experiential learning (“Kenntnis”) than learning about something through reading, whether print or computer-screen based (“Wissen- schaft”). Historically, boys’ learning has gone from physical apprenticeships, action, and practice to sitting in verbal/ written learning environments. The result is that normal fidgeting and physical movement, once necessary and normal, are now liabilities. There are ways of reforming schools to take these issues into account, but they are not part of the No Child Left Behind, Race to The Top, Common Core and Standardized Testing “reform”. Over the years, even math problems have become more word oriented, for which girls’ brains are believed to have an advantage. ELA is theme based and often revolves around character feelings. Boys are more analytical and think more in terms of plot and action. Although the basic drilling for elementary reading skills works through fourth grade, the ELA curricula and practices in grades four through twelve have contributed to poorer boys’ results in those grades. In fact, although the test results of fourth-grade boys had improved, the twelfth grade results show that one in four boys does not read at a basic level of proficiency, as opposed to one in sixteen girls. My son was stereotyped from an early age. Boys get the message that “typical boy behavior—loud, competitive, and physical–is bad, and that they need to become more like girls— quiet, cooperative, and gentle”. “Typical boy behavior” is often misdiagnosed as ADHD. This occurs especially when the teacher first suggests ADHD testing. That occurs because most classroom settings are not boy-friendly enough; most teachers (predominantly female in the early grades) are not fluent in the needs of boys; and, especially now, too many K-1 classrooms are inappropriately, academically advanced. In another example of stereotyping, African-American students, use of the sub-cultural “call and response” style of many inner-city males; physically active, loud, engaged, and enthusiastic learning is often perceived as angry and hostile. Most upper-middle-class secondary schools (where many teachers come from) stress higher, critical-thinking skills, conceptual thinking, and applications, while most lower-socioeconomic, secondary schools, stress safety, class management, and rote learning to achieve success on basic skills, as shown on national standardized tests. The Common Core, Standardized Test, DOE, NCLB, RTTT reform movement, as it now stands, simply makes the situation regarding the education of boys even worse. The result is a lack of practice in the deeper understanding of material and the underlying skills for advancement, both to and in college. Today’s “reforms” have led to “more competent mediocrity” and the growth of the “school to prison pipeline” in inner-city schools. By the time boys from poor neighborhoods start kindergarten, they are already less prepared than their sisters. The gap keeps widening: They are more likely to be suspended, skip school, perform poorly on standardized tests, drop out of high school, commit crimes as juveniles and have behavioral or learning disabilities. Boys tend to have more discipline problems than girls over all. But the difference is much bigger for black and Latino children — and more than half of the difference is because of poverty and related problems, the researchers found. For instance, while boys in well-off families have almost the same test scores as their sisters, the gap is more than three times as large in the most disadvantaged families, the study found. While well-off boys are 3.1 percentage points less likely than their sisters to be ready for kindergarten, the most disadvantaged boys are 8.5 percentage points less likely. Problems in elementary school have long-term effects. Early suspensions are strongly correlated with not graduating from high school. The modern economy relies on skills like cooperation, empathy and resilience — and many boys are entering the work force poorly equipped to compete. Though disadvantaged children are more likely to be in underperforming schools or neighborhoods with drugs and violence, this alone does not explain the gender gap, the researchers said. Even in the same neighborhood and schools and for children of the same race, the gender gap is wider in less-advantaged families. Can we learn from all the research and institute real reform, not the “reformer style” we are currently engulfed by? A few years ago, I heard Dr. Yolanda Sealey-Ruiz of Teacher’s College give a talk entitled “Using Culturally Responsive Pedagogy With Our Male Students.” She firmly stated that the approach to teaching boys, especially minority boys had to start with these HABITS OF MIND firmly established. Recognize boy culture, especially minority street culture. If we dismiss their culture we dismiss them. Use boys’ experiences positively to think of new ways to reach them. Empower boys intellectually, socially, and politically by using specific cultural references to positively impact knowledge, skills, and attitudes. Encourage the use of their boy based learning styles. Teach the whole child. Every child. The “Reforms” of education we have had thrown down our throats have ignored the research. It is time we used the research and matched schools and classrooms with the findings. This is a picture of my old neighborhood. Once a working class enclave for ethnics of all origins, it deteriorated into “Fort Apache”. The once good schools became failures. 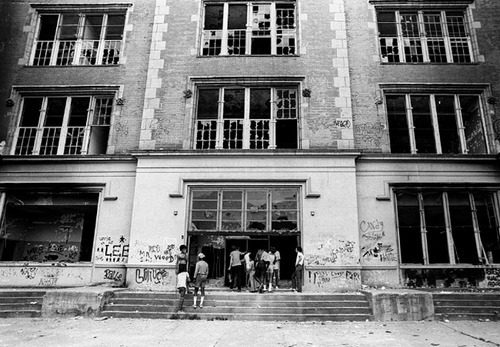 If we look back at the history of urban public schools we see very clearly that when schools were in socioeconomically integrated neighborhoods, you didn’t have failing schools, you had failing kids within those schools. The higher the general income levels of those schools, the lower the failure rates. Thus we saw great gains in lowering the “achievement gap” in the 60s and 70s. When those socioeconomically integrated (even though they may not have been ethnically integrated) neighborhoods suffered from middle class and/or white flight we created huge pockets of poverty where a far greater percentage of students were failing, thus creating what we now call failing schools. We have all seen this. 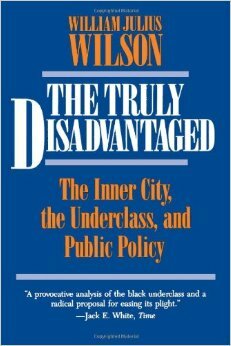 William Julius Wilson in his book, “The Truly Disadvantaged” describes this phenomenon in detail. 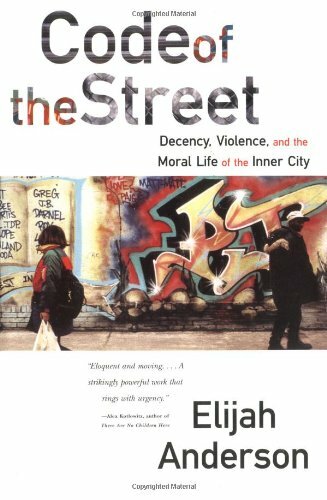 Elijah Anderson’s book, “Code Of The Streets” describes the results as kids have to code switch between the values of the street and the school, usually failing to do so. Thus the path is clear. The success of schools will depend more on housing patterns and less on education policy. We must do more of what is now being tried in Dallas where kids are not bussed from poor neighborhoods to schools in better neighborhoods but rather their families are found places to live in those neighborhoods so these children can reap the benefits of the values they sorely miss in the extreme poverty neighborhoods where they fight to survive. We see those results here in Westchester when we look at various communities that were once socioeconomically integrated and now not, and where pockets of “integrated neighborhoods were built for low income folks in middle income areas. Once upon a time there was a Federal Department of Health, Education, and Welfare. 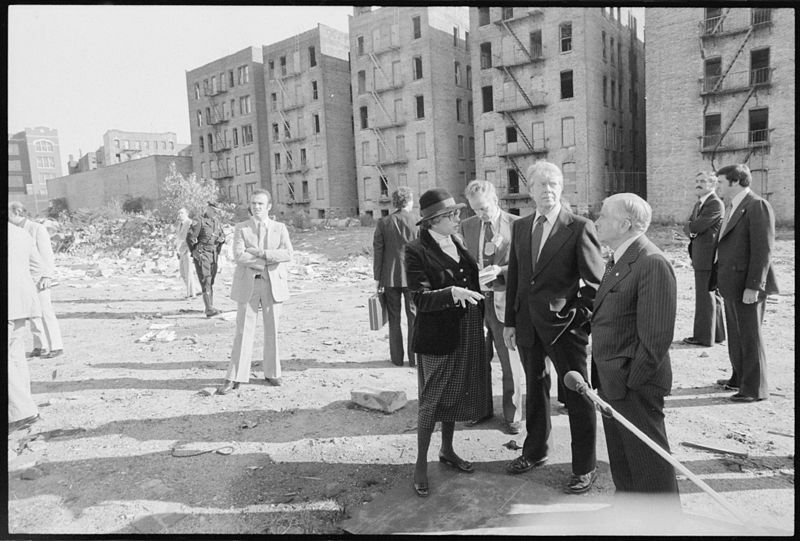 Together, it and the Department of Housing and Urban Development tried to keep that delicate balance in neighborhoods. That ended in 1979. The problem will, as usual, be prejudice and NIMBY…Not In My Back Yard. Teachers provide that love through mentoring. However recent education policies have diminished the time teachers have to do this loving role. I can probably say that unofficially I have been someone’s mentor since I was still in high school working as a camp counselor in local day camps. You can’t say what a mentor is as simply as it is defined, nor can you just arbitrarily decide to be one. There are some people who will never be able to become mentors. Mentors know that with each person you play a different role. Do you give advice to someone with less experience? Sure. Do you counsel them? Sure. Do you help them learn to prepare for upcoming situations and events in their lives? Sure. However most of all you have to listen and develop a trusting relationship. Without that, whatever the extrinsic circumstances, you are not a mentor. You are a bore. You might be in a situation where mentoring is called for and thus you naturally do it. That’s what happened with me. Kids already know who are natural mentors and choose them because of who they are. Difficulties naturally arise with mentoring. Psychologists know that you often can’t reach people who don’t want to be reached or helped. So each time I couldn’t reach a student I thought I needed to reach more than I did, it felt like failure. But for me, the worst time I had was with a high school senior I never had in class but with whom I was working with on a senior class play came to me for help. At first it was just about playing his role, but it developed into a more important relationship, as I got involved with his family issues and his fears both of them and graduating high school. Soon it evolved into me talking him out of suicide with the help of his girlfriend and his shrink. We thought we were doing well. The play was a hit and he was the star, but a few days prior to graduation I received a call from his girl friend saying she thought he was going to do it and that he had a gun. She begged me to call him to stop him. I did call: about a minute too late. Compared to that, what’s difficult? The first, and most important thing I have learned from students is how to be a better mentor. It is a natural process. Obviously, I have learned much about how kids function and how they learn. They have also taught me about things I never thought I would learn about, for example…DNA slicing…but content is far inferior to process. Finally, as far as advice goes, to be a better mentor, become a better listener. Learn how to focus on the needs of your mentees rather than procedure or your own. Be flexible, but be yourself. They came to you because of who you are. Understand that you are the mirror, not the subject in the mirror. See? It isn’t simple. Why don’t education policy makers understand how mentoring is one of the biggest non-data driven things teachers do to foster success? Why do they force schools to end programs based on mentoring? Why do they add so many data driven tasks that lessen the opportunities and time to do this incredibly necessary teaching role? Why should kids have to turn to the streets for love? [Verse 6] What? Huh? I didn’t know! Put your hands up you punk! Hell no, what did i do? Okay, turn around, turn around, put your hands behind your back, let’s go, let’s go…. A jury of your peers having found you guilty, ten years. I have read more than my share of books, blog posts, essays, social network comments, and tweets about public education. Some of them are by people who have done extensive research on how the history of public education differs from place to place. Unfortunately though, too many are from those who choose to ignore or are ignorant of the wide range of variables that affect both the students and the schools in socioeconomic and ethnically diverse areas regardless of geographic location. Suburban districts tend to be less diverse than urban. Some are very homogeneous both socioeconomically and ethnically, but most are also more diverse than stereotypes note. If we also add special education needs as a factor, the results are even more uneven. Most suburban commenters are aware of that, but many also look at other suburban districts through a lens colored based on where they live or grew up. But, since they live in suburban districts, they generally believe they have a better idea of the truths that exist in most suburban districts. We can say exactly the same about rural districts. Here too there are some consistencies and variations. What happens, for example in “hyphenated” districts made up of two or more rural localities that may or may not be similar to each other? Let’s face it. The real issues in education revolve around the urban poor. When you take poverty out of the equation when comparing American students to those of other countries taking the PISA exams, we are at the top. For example notes The National Association of Secondary School Principals, when you look at the number of US schools with < 10% of their students receiving free lunch (the poverty factor) the US overall average is 551, and betters #2 Finland by 15 points. When you look at the number of US schools with between 10 – 24.9% s of their students receiving free lunch, the US overall average is 527, and only behind Finland by 9 points. The real problems exist in poverty schools. Those US schools with 50 -74.5% score 471. Those with a rate of >75% poverty scored 446, the second lowest of major nations. The shame is that as a result of the very real and very specific problems students and schools in those finite areas everyone in the nation has been subject to bad education policy. Far too many people stereotype urban areas through the narrow lens of their own experiences. All sorts of euphemisms and misinformation are thrown around by people justifiable pissed off at those one size fits all policies. Experience means a lot in how we see “truths” and work to solve problems. When I was raised in the Bronx as a poor white kid among Black and Puerto Rican schoolmates, friends, and neighbors, I didn’t know there was an “achievement gap” except between my abilities and how well my mother and teachers told me I should be doing. When I taught in the Bronx, the only achievement gaps I sought to rectify were the individual needs of individual kids to achieve their potential. That was the only gap worth noting. Nothing brought greater satisfaction than to see a mislabeled Special Education student get AP credit for college. That is what I call closing the achievement gap. What made it easier for me, as that tall crazy white dude, was that I didn’t have to learn BS terms like “racial justice pedagogy” or better terms like cultural pedagogy, because I lived them. The real need is to take this out of academia, and give new SUBURBAN white teachers a more meaningful urban experience. I used to not believe in telling workers where to live, but in this case, maybe its time to be that crazy white dude again and tell new white suburban bred teachers to live where they teach. That will cure them of that pedagogical psychobabble. To me that is the key to success. Those who can will be successful as students or teachers. On May 9th, Orlando Patterson of Harvard, author of The Cultural Matrix, wrote an essay in the NYT titled “The Real Problem With America’s Inner Cities.” In it he reflected on the unrest in Baltimore and how many people have attempted to define the problems regarding racism and police behavior. I find that true in the urban districts and neighborhoods I have worked in and with. There is however a larger majority of children who do not run with the gangs, or are working as hard as they can to escape the street culture, trying to follow Anderson’s concept of code switching. To survive where they live you must. To get ahead in our society you must. There are numerous studies that show that minority females are far more likely to succeed than males. What must we do? First we have to stop thinking that one size fits all works even if policy is directed only at inner city schools like those in NYC, Baltimore, or Rochester, NY. These schools are also heterogeneous, if not racially, but in so many other factors ignored by policy makers, and I might add, well meaning commenters. I disagree with his additional view that this includes “ continued expansion of successful charter school systems.” After all he is a Haaaarvaad guy. Teachers and public schools have and can continue to do that if we allow them and find non data driven, non standardized, non commonized, and non one sized fits all ways to improve rather than replace them. David Greene has spent 58 of his 66 years in Public Schools. He taught high school social studies and coached football for 38 years. He was an adjunct and field supervisor for Fordham University mentoring new teachers in the Bronx and formertreasurer of Save Our Schools. He is presently a program consultant for WISE Services. David Greene’s book, DOING THE RIGHT THING: A Teacher Speaks is a result of his experiences and his desire to pay forward what he has learned over the years as he continues to fight for students and quality education in PUBLIC schools. His essays have appeared in Diane Ravitch's website, Education Weekly, US News and World Report, and the Washington Post. He wrote the most responded-to Sunday Dialogue letter in the New York Times entitled, “A Talent For Teaching”. He has appeared on radio, local TV, Lo-Hud newspaper articles, and has given several talks about Common Core, APPR, TFA, teacher preparation, the teaching profession, and other issues regarding education. Most recently he appeared on: The growing movement against Teach For America, December 11, 2014 11:00PM ET, by Lisa Binns & Christof Putzel He is presently a contributor to Ed Circuit: Powering The Global Education Conversation.